﻿ The Loft @Chiangrai, Chiang Rai | FROM $14 - SAVE ON AGODA! 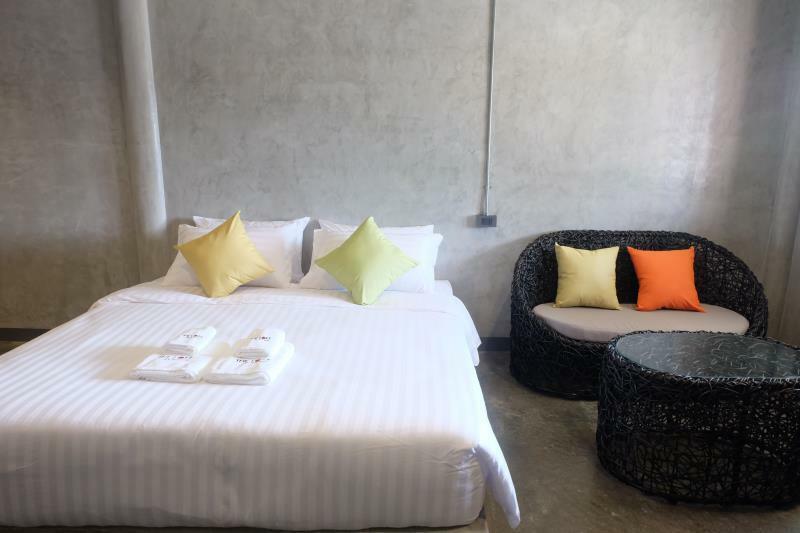 "It was clean, comfortable, and the room was large enough for..."
Have a question for The Loft @Chiangrai? "Carpark is spacious and we parked in front of our room." "Nice clean good priced hotel." 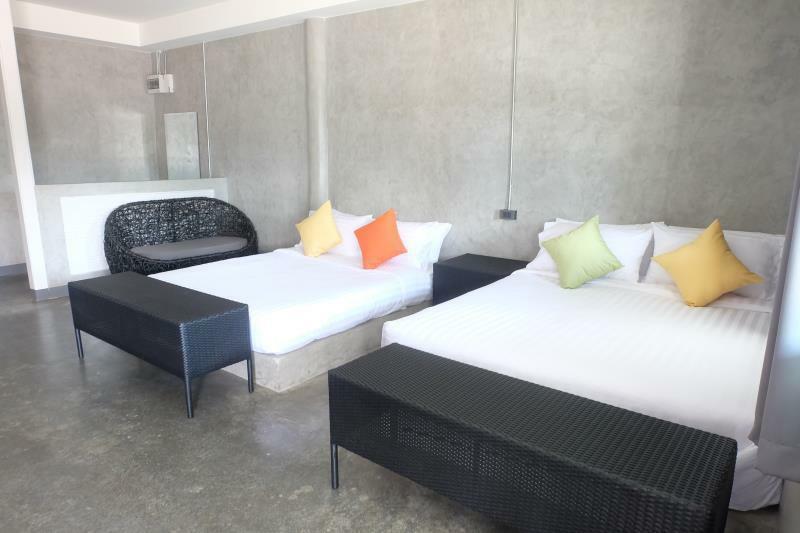 For travelers who want to take in the sights and sounds of Chiang Rai, The Loft @Chiangrai is the perfect choice. With its location just 8 km from the city center and 2 km from the airport, this 2.5-star hotel attracts numerous travelers each year. With its convenient location, the hotel offers easy access to the city's must-see destinations. 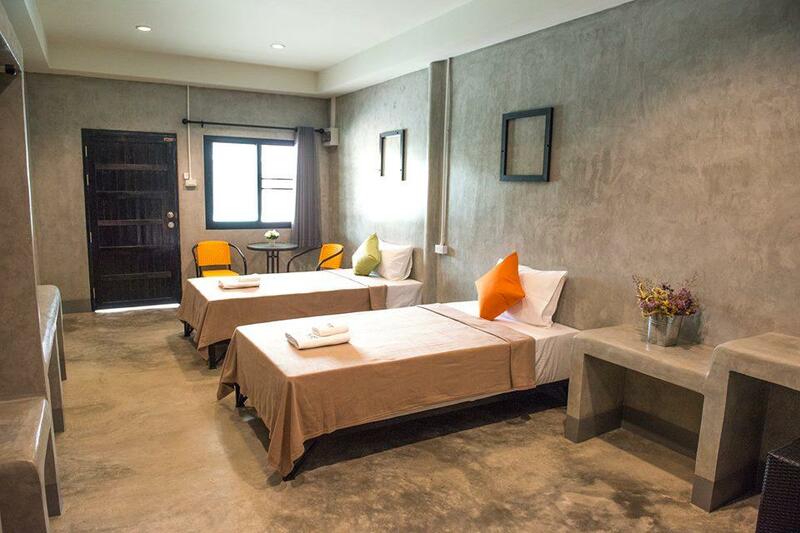 The Loft @Chiangrai offers impeccable service and all the essential amenities to invigorate travelers. For the comfort and convenience of guests, the hotel offers free Wi-Fi in all rooms, 24-hour security, daily housekeeping, taxi service, Wi-Fi in public areas. All guest accommodations feature thoughtful amenities to ensure an unparalleled sense of comfort. Besides, the hotel's host of recreational offerings ensures you have plenty to do during your stay. 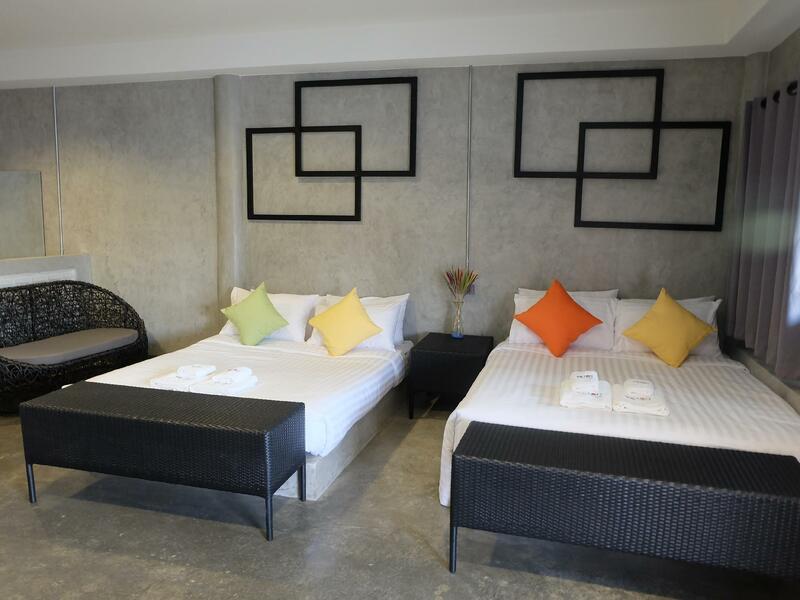 The Loft @Chiangrai is an ideal place of stay for travelers seeking charm, comfort and convenience in Chiang Rai. A retrofitted one level ‘motor lodge’ with very comfy mattresses(difficult to find in Thailand) a great shower, zero bugs, and staff that was quite kind and helpful. 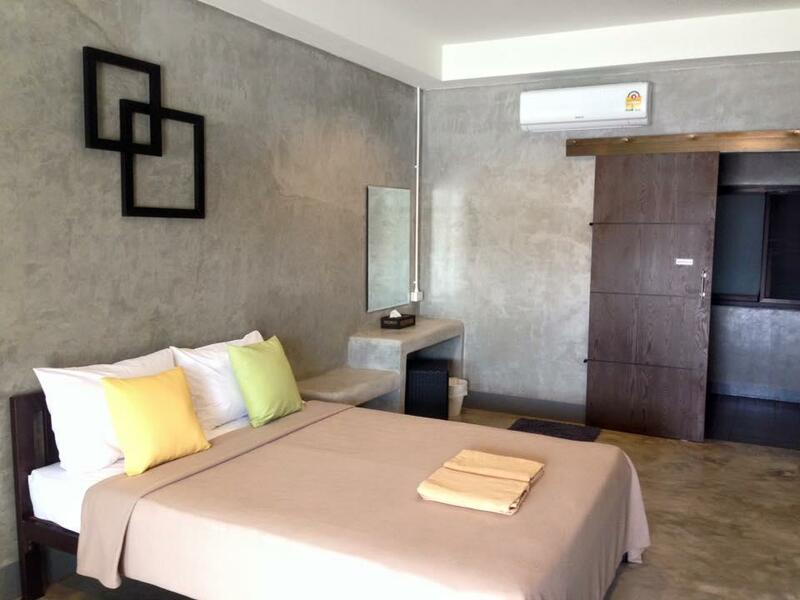 Still, at 1850$ baht for the family room was a bit too much. Spartan on snacks, but ample in beer. It served its purpose for an overnight stay! Very clean and comfortable. Near the airport, not so near the city centre but there's always Grab! 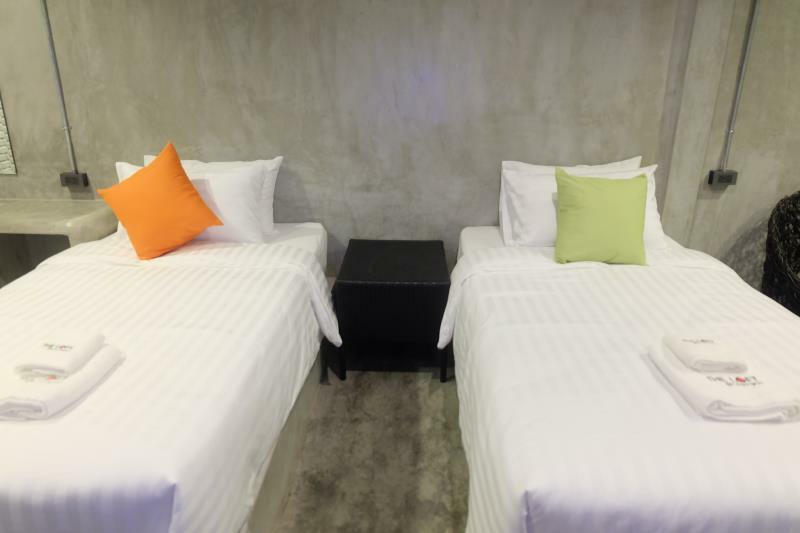 Large room and clean but don't have a hair dryer, private place, it near the airport but you have to has a car or rented car because it is located in a deep alley so if u want to go to the airport you may walk so far to a main road for take a bus. We enjoyed our week long stay at the Loft. It was clean, comfortable, and the room was large enough for the whole family. They had coffee and toast for breakfasts. They could charge a bit more and improve the breakfast options. We checked in there for the night as we were passing by for a worktrip to go to the Chiang Rai airport early the next morning. So the location works out really well for us - the hotel staff helped us to call a taxi to go to the airport. However, the location may not be ideal if you want to explore the city. The room is nice designed with an industrial theme. There was problem with switching off a white light in the middle of the room. The staff told us that it was an emergency light (which was weird because this doesn't happen in other hotels and another friend who slept in another room did not have this problem). Anyway we asked the staff to turn it off by screwing it out (switching off from the main cable box was not possible). The staff were all very helpful and friendly and appreciated their help when we checked in very late and had the problem with the light! This place is hotel or motel ,i’m not sure. Room has no view . Window near the door that seeing corridor outside. Smelling so bad that no wind can get through. If you look for 2 star motel, this is your choice. We arrived on 21 Dec and stayed for 3 nights. Carpark is spacious and we parked in front of our room. The room concrete/loft decor is simple yet we felt at home and love it. The single bed/mattress should be of the same level as our king bed. Overall we enjoyed our stay. We arrived at 3am ,deep night, 2 staff waited in the lobby to check in for us. The room is very big and clean. bed is comfortable, just the rooster outside made a lot of noisy. everything about hotel was nice, but staff at reception cannot communicated english well. room is very big , Bed so comfy and clean , full facilities for 650 per night , not located in city center but you can drive to there in 10 mins , at least hotel near 7-11 , very recommended here !! very convenient location if you are catching a flight . and i quite like the style of the design.anyway.value for the money . beyond the what you paid for! the rented car or motorcycle is recommended.